As such, they constitute an important document, remarkable both for its social import as well as for its groundbreaking visual dare. Rarely shown during his lifetime, Baltrop’s images return us to that conflicted era when the city was on the brink of a financial crisis; they convey the raw energy that characterized some of the city’s most impassioned grassroots campaigns for survival. Focusing on the derelict warehouses sited alongside Manhattan's West Side piers, Baltrop’s images are an extensive documentation of the underground gay culture that flourished along the Hudson River, in an isolated section alongside the collapse of a segment of the West Side Elevated Highway in 1973. A few blocks southwest of Manhattan’s Meatpacking District, the area also became a center for drug smuggling and prostitution. Baltrop’s images captured leisurely sunbathing, cruising, sexual acts, and crime scenes. With a sensibility to architecture, Baltrop portrayed his subjects with a heightened sense of drama, instilling his scenes with humanity. While the interest in Baltrop’s work often focuses on the libidinous atmosphere he captured, it’s important to situate that moment as pivotal in the LGBTQ community in its struggle for inclusion and civil rights. The Life and Times of Alvin Baltrop will feature over 120 photographs drawn from the Bronx Museum’s permanent collection and from private collections. In addition, the artist’s personal archive, housed at the Bronx Museum, will be shown to the public for the first time. In conjunction with the exhibition, the Bronx Museum will partner with Italian publisher Skira to produce a 200-page, richly illustrated catalog. 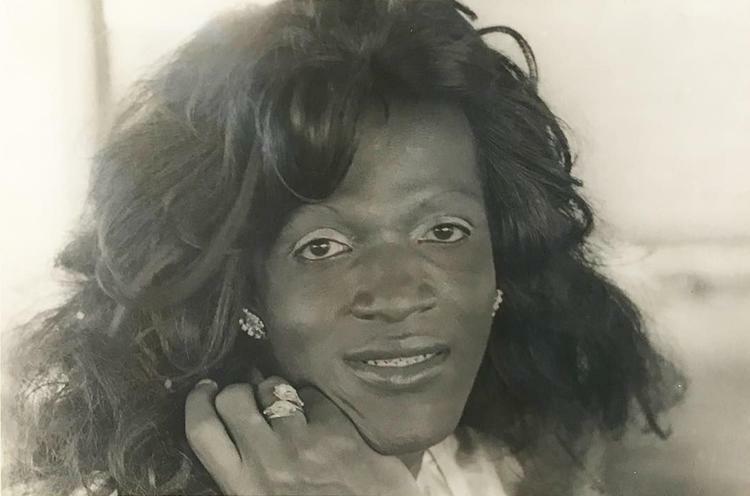 Alvin Jerome Baltrop was born December 11, 1948, to Dorothy Mae Baltrop shortly after she had moved from Virginia to the Bronx with her eldest son James. He began photographing with a twin-lens Yashica camera in his early teens. Baltrop joined the US Navy in 1969 and served in Vietnam, where he photographed fellow sailors doing chores or at leisure. He received an honorable discharge in 1972, and went on to attend New York City’s School of Visual Arts from 1973 to 1975. 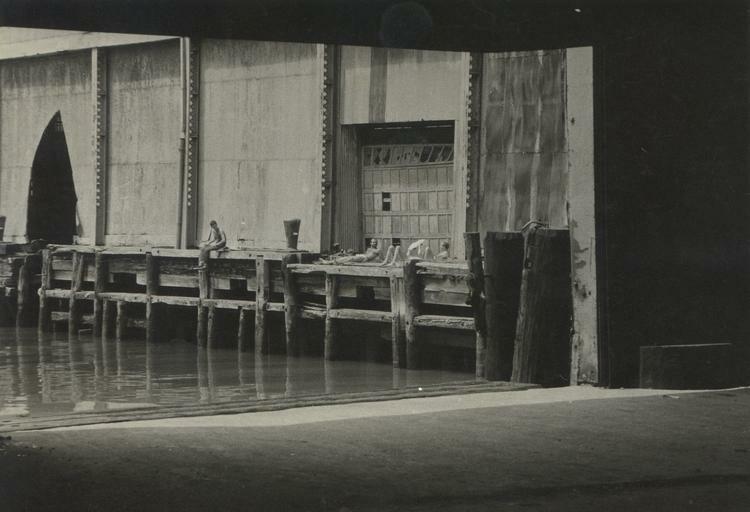 It was during that period that Baltrop started documenting the gay communities in the West Village area and along the piers. Late during the 1990s, artist John Drury nominated Baltrop for a Louis Comfort Tiffany Foundation Award. Baltrop had few exhibitions in his lifetime, and his work only gained critical recognition after his death, particularly after art critic Douglas Crimp published an article about his work for Artforum in 2008. The Life and Times of Alvin Baltrop is presented in collaboration with The Alvin Baltrop Trust, managed by Third Streaming Advisory Services and Galerie Buchholz. It is presented in conjunction with the Stonewall 50 Consortium. 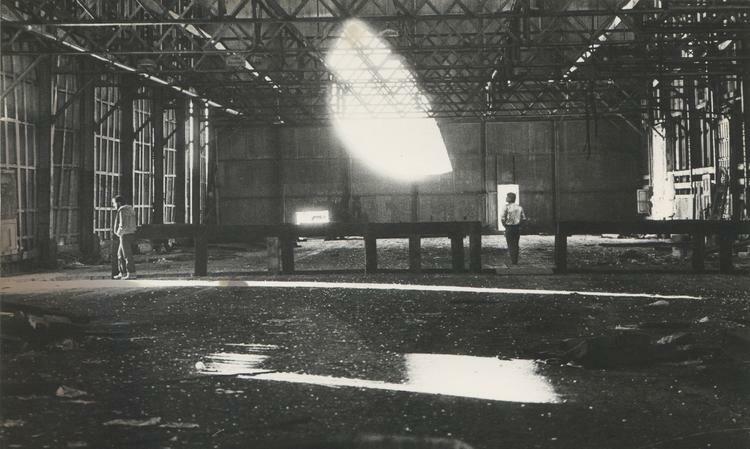 Alvin Baltrop, Pier 52 (Gordon Matta-Clark's "Day's End"), 1975–1986. Silver gelatin print . Bronx Museum of the Arts Permanent Collection.